Executive chef Bobby Matos' Bourbon Pecan Tart. Photo courtesy of State of Grace. 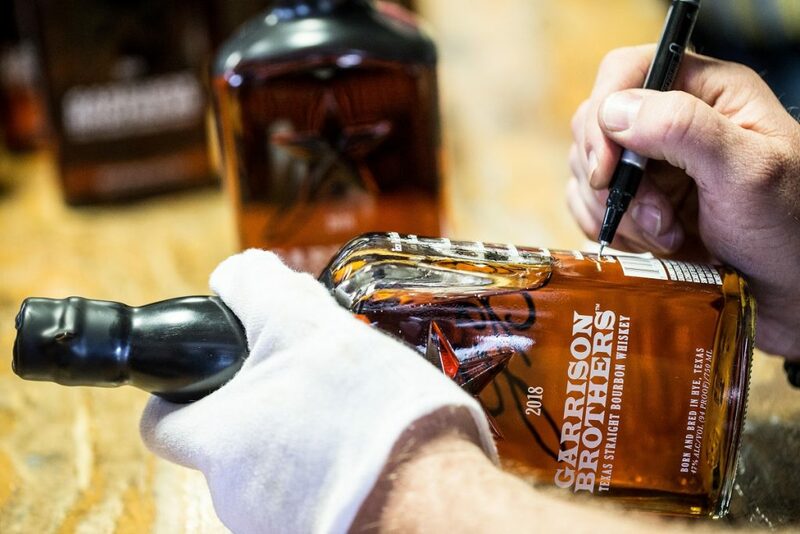 Texas Independence Day is Friday, March 2nd and Garrison Brothers Distillery has teamed up with a group of restaurants and bars across the Lone Star State to add a bit of spirit to the day. Chefs and beverage professionals in Houston who have come up with dishes and special drinks that include the Texas-made whiskey are Westin Galleymore, spirits director of Underbelly Hospitality (his special is at The Hay Merchant), sommelier and co-owner David Keck of Goodnight Charlie’s, executive chef Ryan Lachaine of Riel and pastry chef Sharon Gofreed of State of Grace. A quick refresher: Texas formally declared its independence from Mexico on March 2nd, 1836 when 59 delegates signed the Texas Declaration of Independence, thus forming the Republic of Texas. Four days later, Mexican general Santa Anna declared victory at the Battle of the Alamo. Six weeks later, a Texas army led by General Sam Houston screamed “Remember the Alamo!” and 18 minutes later defeated Santa Anna’s army at the Battle of San Jacinto. The victory forced Mexico to recognize Texas’ independence. Including the four Houston industry pros, 21 chefs and mixologists total throughout Texas are incorporating the 2018 vintage of its Small Batch bourbon into unique and limited-time specials. State capital Austin leads the way with seven participating businesses, Dallas has five, San Antonio has three and El Paso is also taking part with one of its own. Not all of the specials have been released yet, but we do know a few of them. The Hay Merchant is offering a special $10 cocktail called Low Era made with Garrison Brothers bourbon, Valdespino PX Sherry, Italicus Bergamotto and Scrappy’s Cardamom Bitters. Goodnight Charlie’s deal is a Lone Star and a shot of Garrison Brothers bourbon for $10. 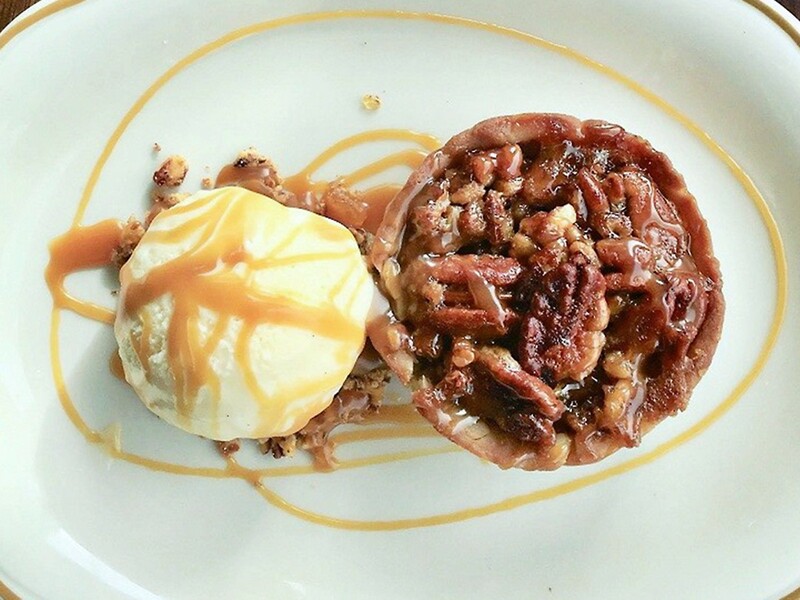 We’re also salivating at the thought of State of Grace’s Bourbon Pecan Tart (pictured above). Pastry chef Sharon Gofreed was kind enough to share the recipe, which notably includes a healthy amount of bourbon in everything except for the dough. Cream together the butter and sugar with a paddle attachment until it is light and fluffy, about 5 minutes. Add the yolks and vanilla bean paste. Scrape the bowl and mix until combined. Add the flour until a soft dough forms. Flatten into disks and chill for one hour. With flour, roll out the tart dough and form into the shells. Chill for 30 more minutes. Make the filling. Whisk all the ingredients together. Mix together with 4 cups of chopped pecans and pour into the chilled tart shells. Bake for 10 minutes and rotate. Bake an additional 10 minutes. Allow to cool completely before removing from the tart shells. In a large pot combine sugar, cream of tartar, salt and 1½ cups bourbon. Cook to a medium amber color. Take off the heat and slowly whisk in the cream and the second bourbon. Finish with the butter. Strain and allow to cool completely. Reduce the bourbon to 1½ cups. Add the milk and cream and bring to a scald. Whisk together egg yolks, sugar, salt and vanilla extract. Temper cream into egg yolks. Whisking constantly, cook to 82C. Remove from the heat and quickly strain through a chinois. Chill completely and spin. Editor’s Note: Article updated 3/2/18, 10:04 a.m. to fix incorrect information we were provided regarding who created the State of Grace bourbon tart.